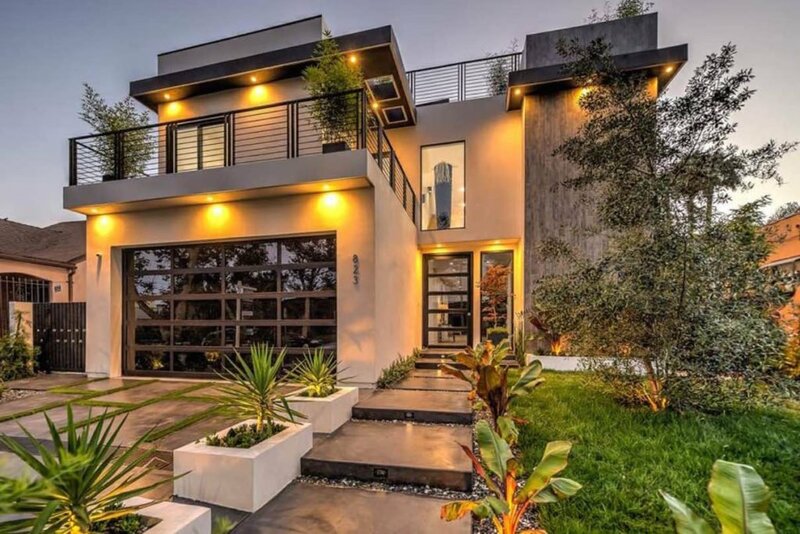 Gorgeous new modern masterpiece in a highly desirable pocket of Los Angeles features 5 bedrooms and 5.5 bathrooms. Each bedroom is En Suite and has been built to use the utmost square footage leaving everyone satisfied with how large each room is. As you enter, you are greeted with beautiful landscaping that will ease your way into an inviting open floor plan. Pocket doors open into a relaxing backyard with an infinity pool and spa with a waterfall that will bring you serenity. As you walk up the floating stairway, it will bring you to an additional living space that allows for relaxation and rejuvenation. An additional floating stairway leads you up, which brings in natural light from the glass skylight, and will guide you to an entertainers and impeccable roof deck with stunning views of Hollywood Hills. Focus on attention and detailing has been perfected to touch all around like you have never seen before. Located next to Hollywood’s Kodak Theater, Hollywood Boulevard, Melrose.